Carrierhouse is fully equipped to facilitate live and on demand streaming of high quality video over internet or over content delivery networks. 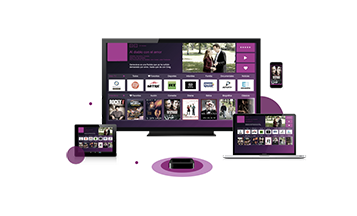 High Quality video can be streamed to multiple devices: TVs, PCs and Laptops, Tablets and Smartphones. The Platform is customized according to brand identity and can be integrated with external applications such as CRMs. Creation of Content Catalogs to build video libraries. There is no need for additional costly hardware or software. Our services include but are not limited to Downlink, encoding, transcoding, and transport delivery services for broadcast, cable, Internet, mobile, satellite and telecom service providers. Call us at (305) 622-6626 to learn more.